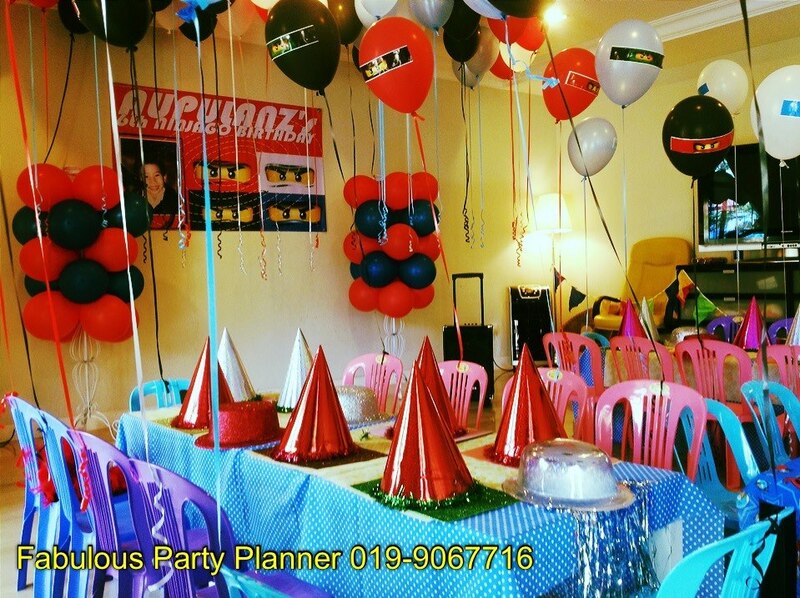 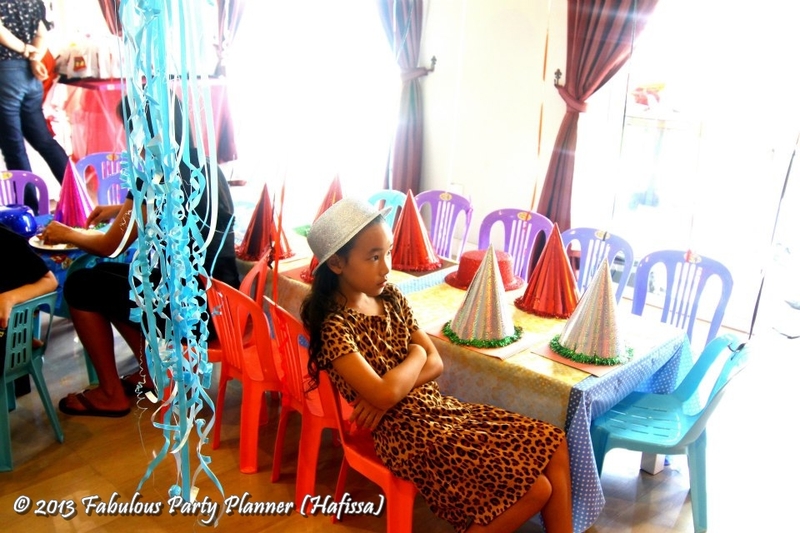 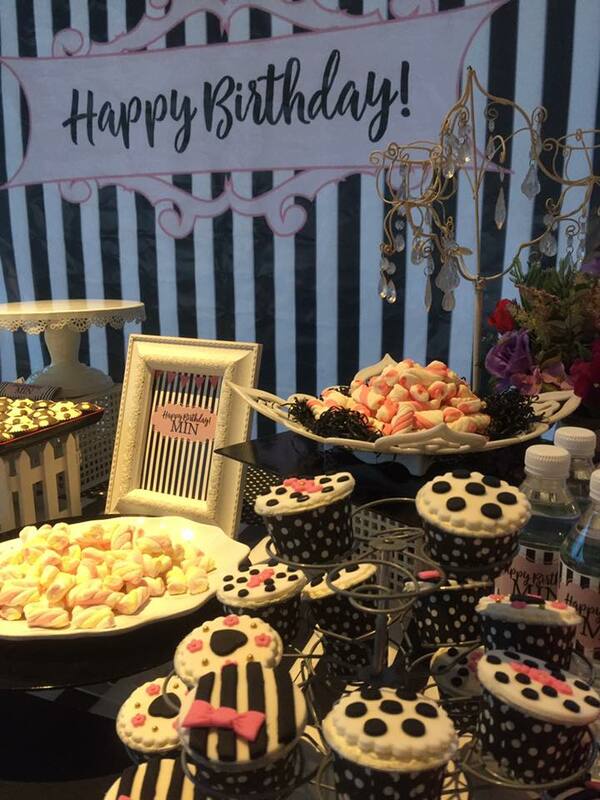 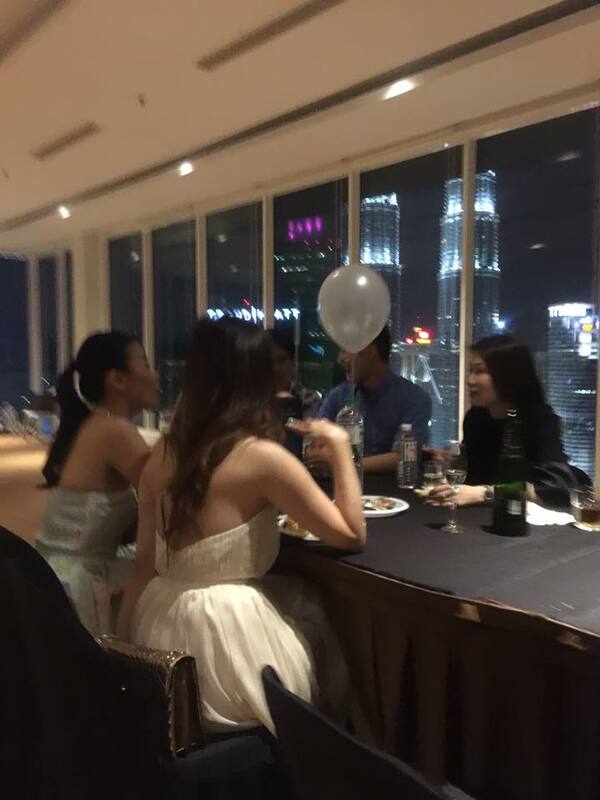 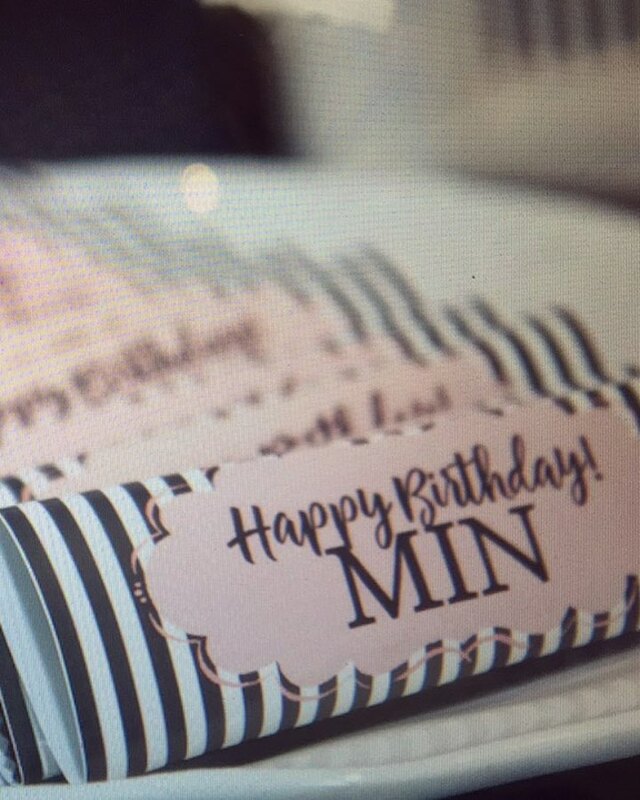 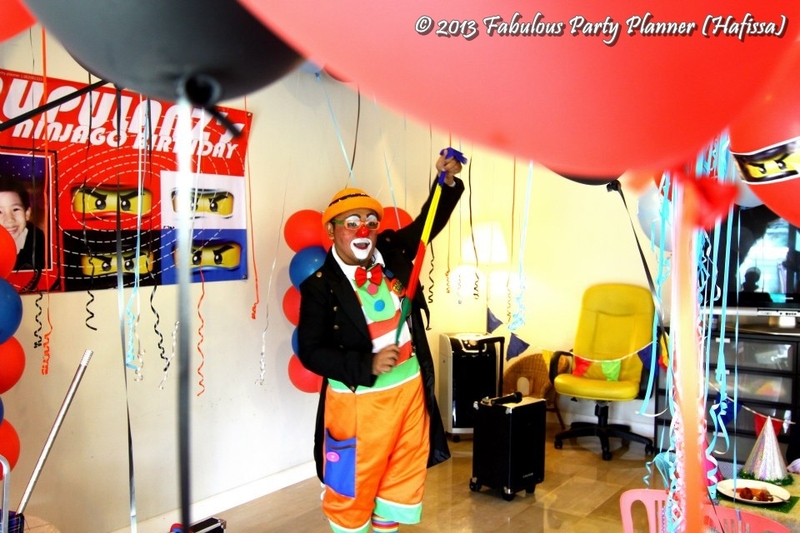 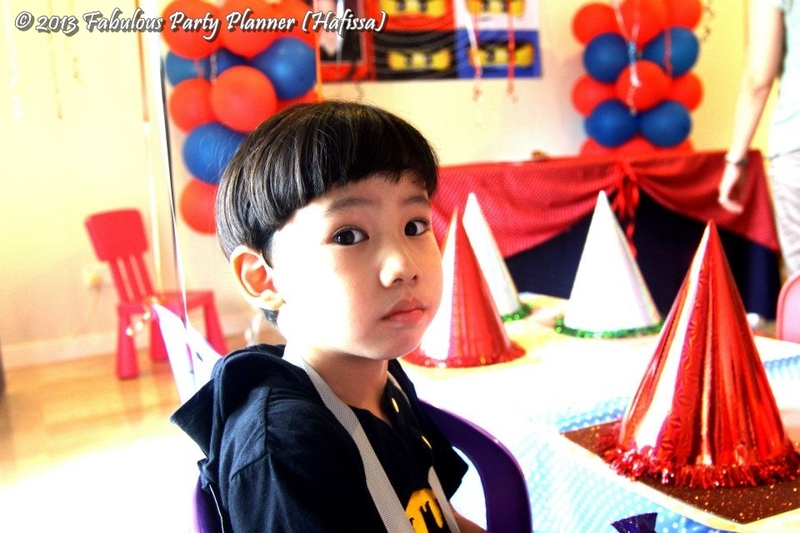 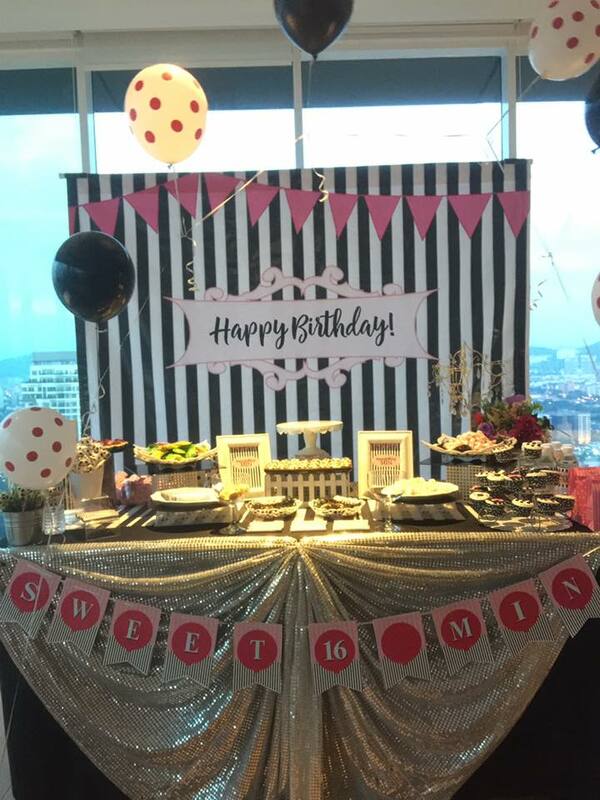 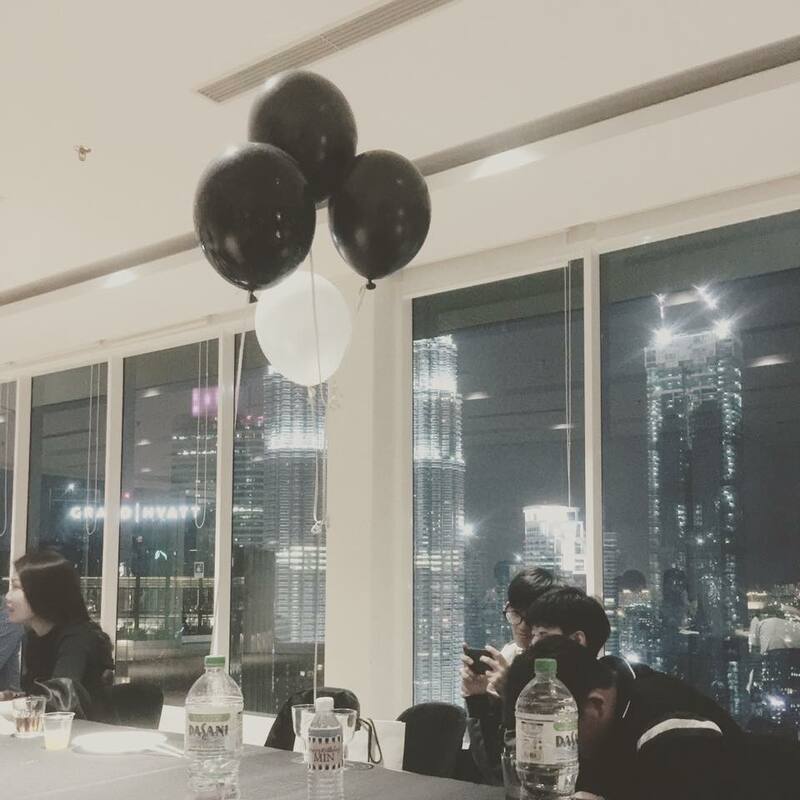 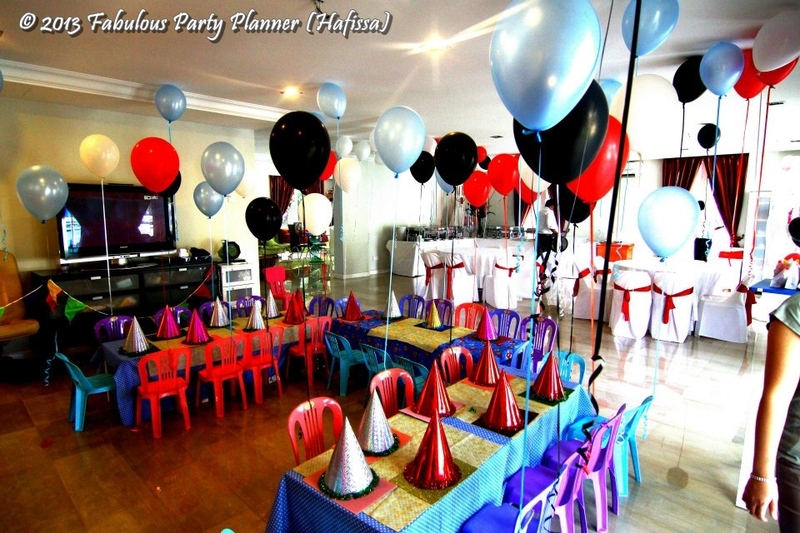 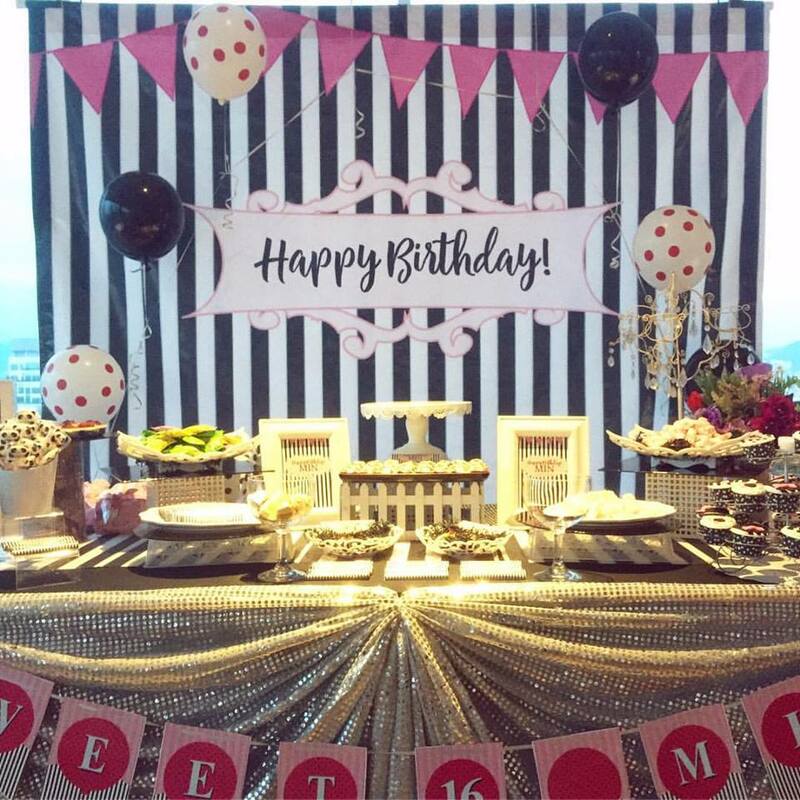 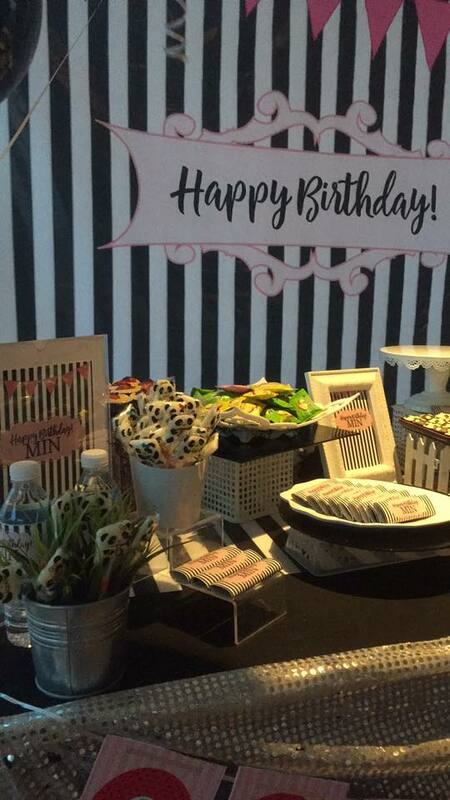 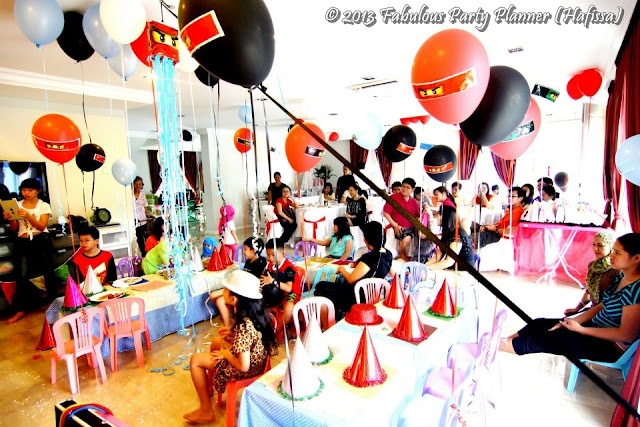 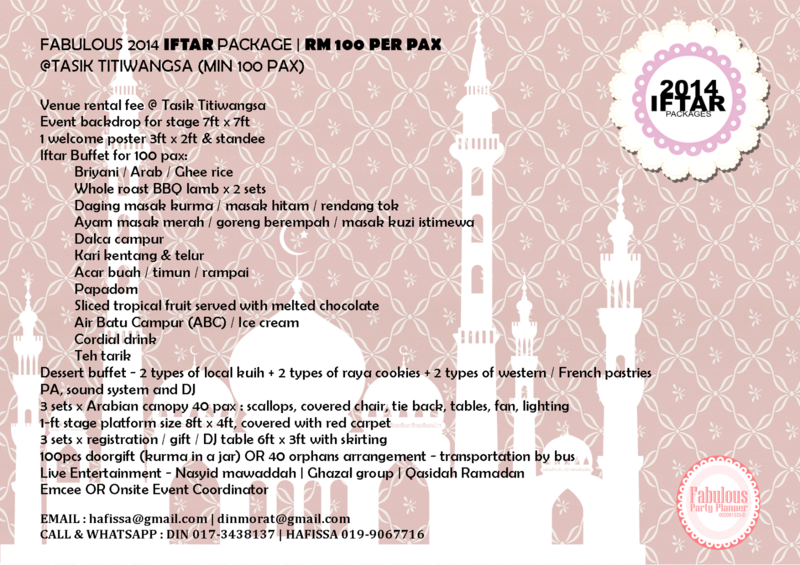 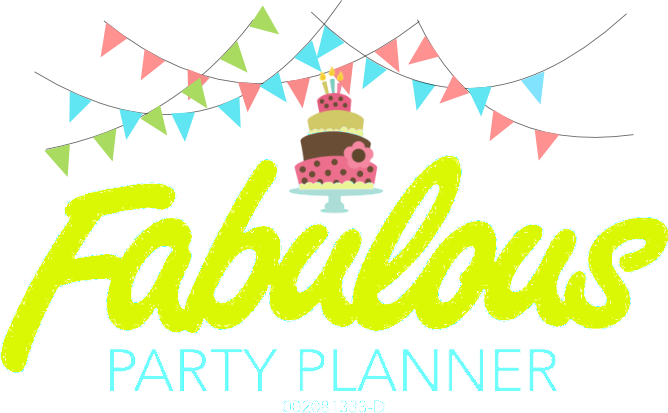 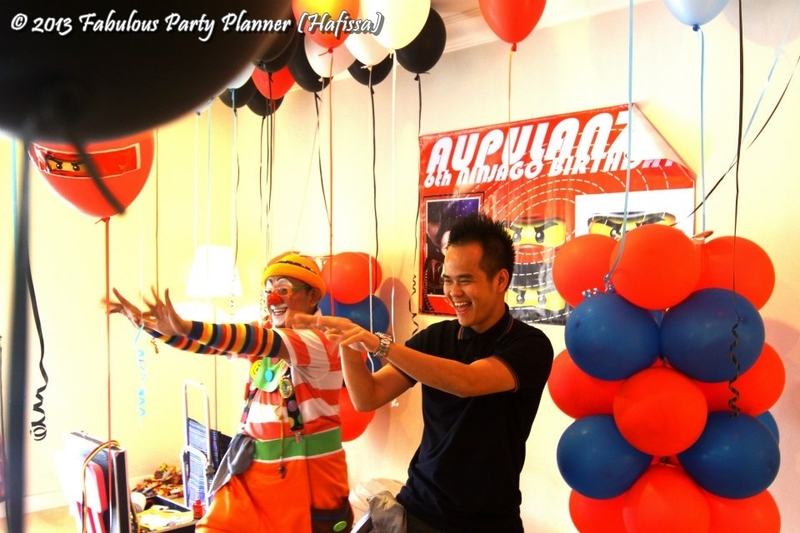 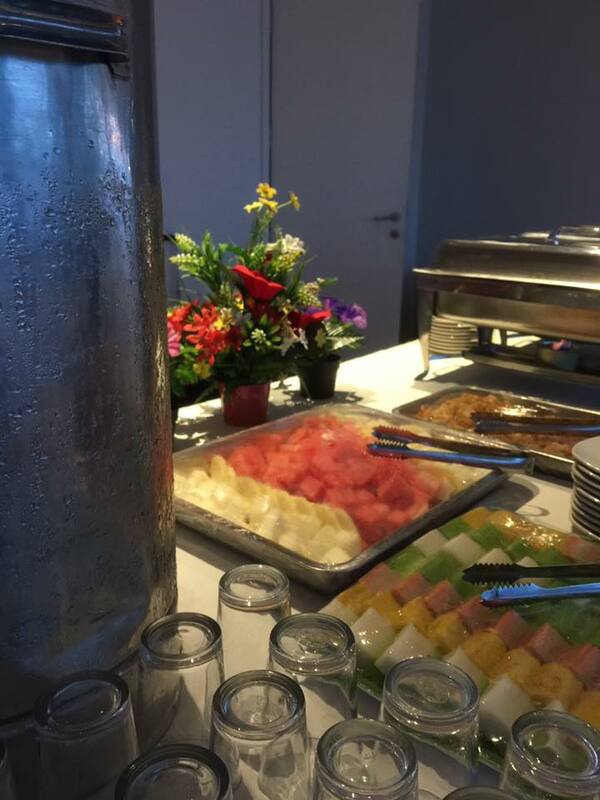 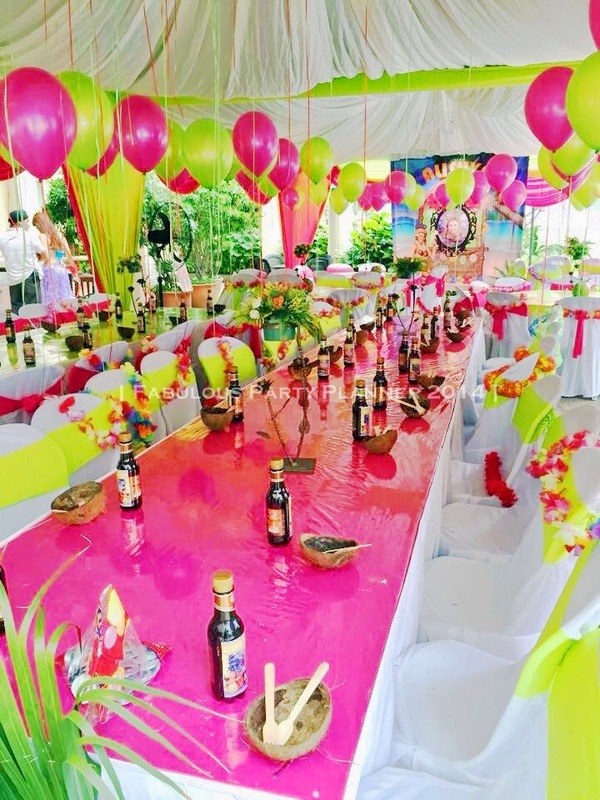 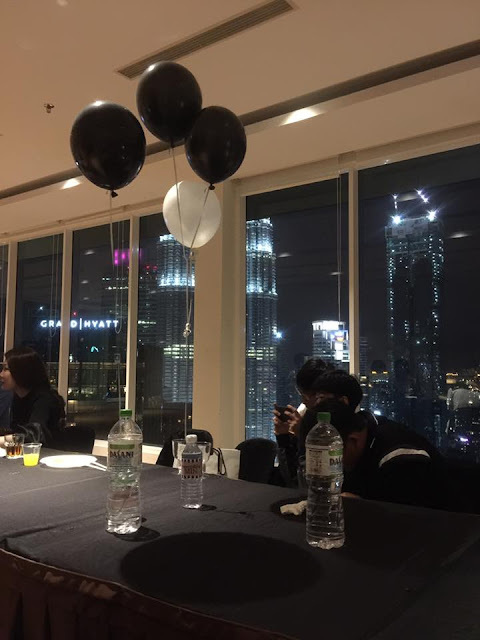 For this event, we arranged for tables and chairs setup, aside from providing a silver package, catering service, an entertainer, a birthday cake and also a photographer for Min's 16th Birthday party held at their own residence, just a stone's throw away from the iconic KLCC. 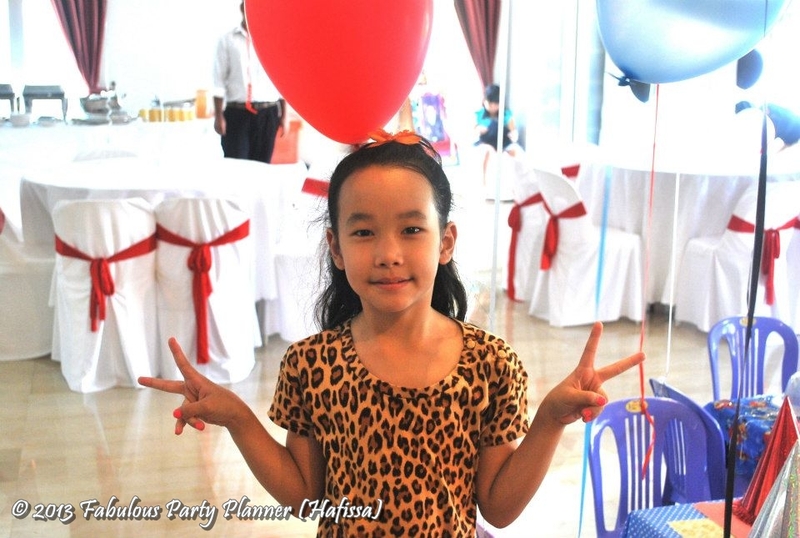 Audrey is a repeat VIP client. 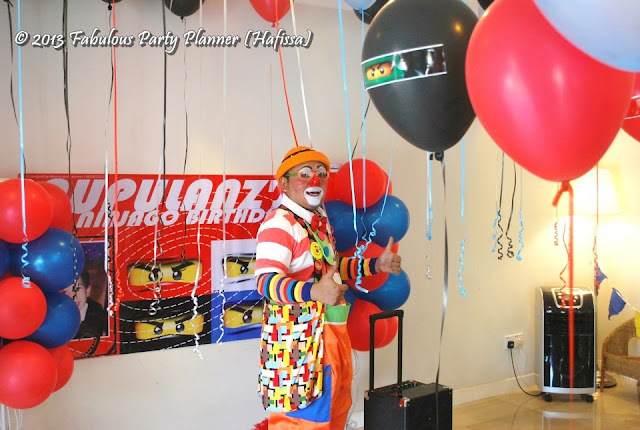 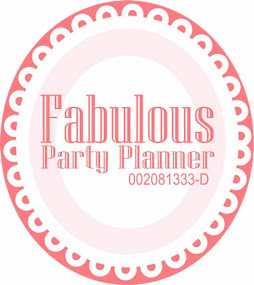 She had booked us for numerous parties for her daughters and son for a few years in a row. Ninjago theme was chosen by Aupulanz himself. 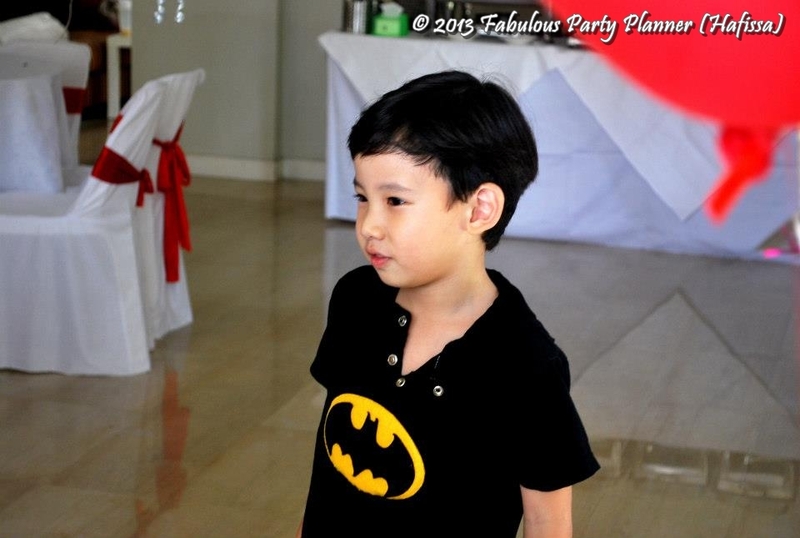 A very active and confident boy, just like her mom. 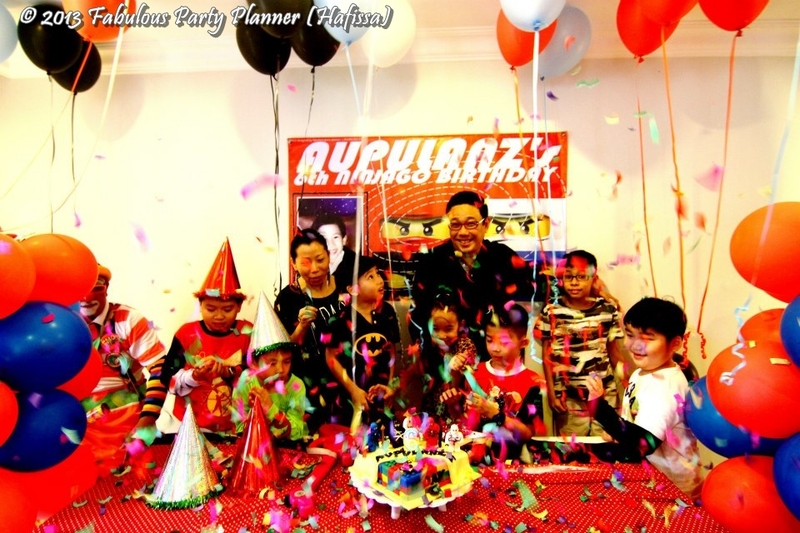 He had few of his classmates to celebrate the birthday with him. 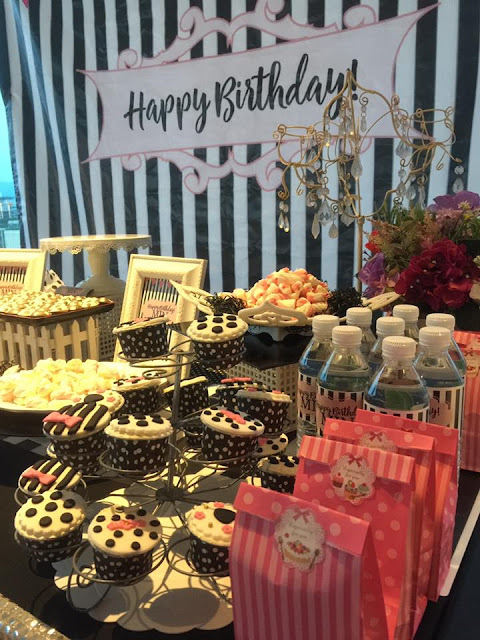 The second birthday of the month she was going to host, Audrey wanted me to organise her Herbal Life's baby's birthday, right in 2 weeks after her 2nd daughter's birthday (Aurarius' Princess Castle Party). 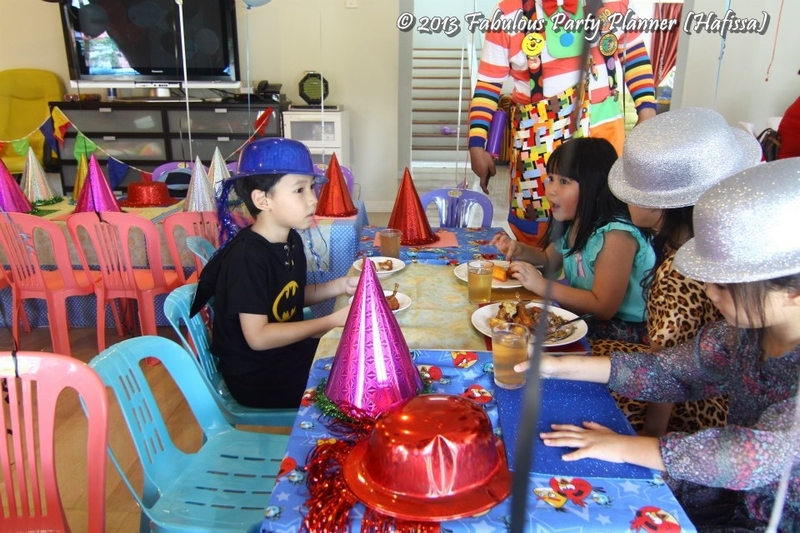 All three kids were born in Octobers i was told. 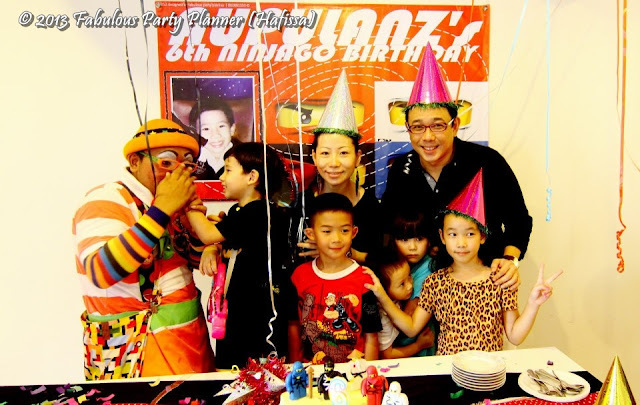 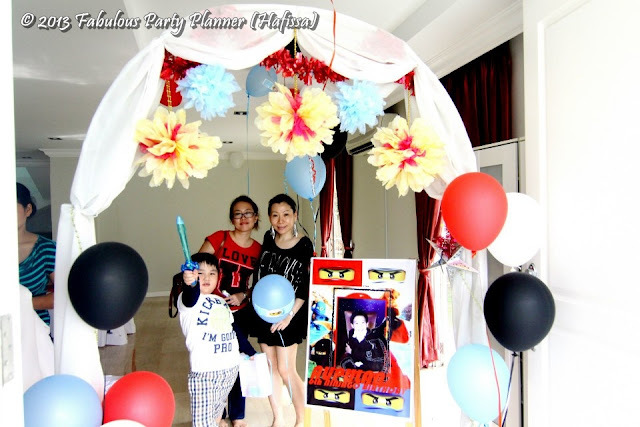 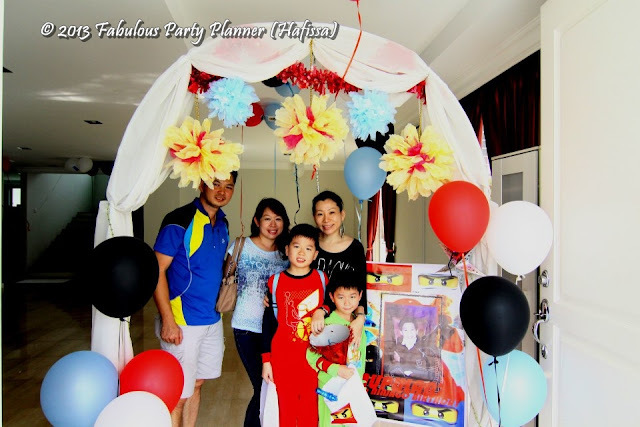 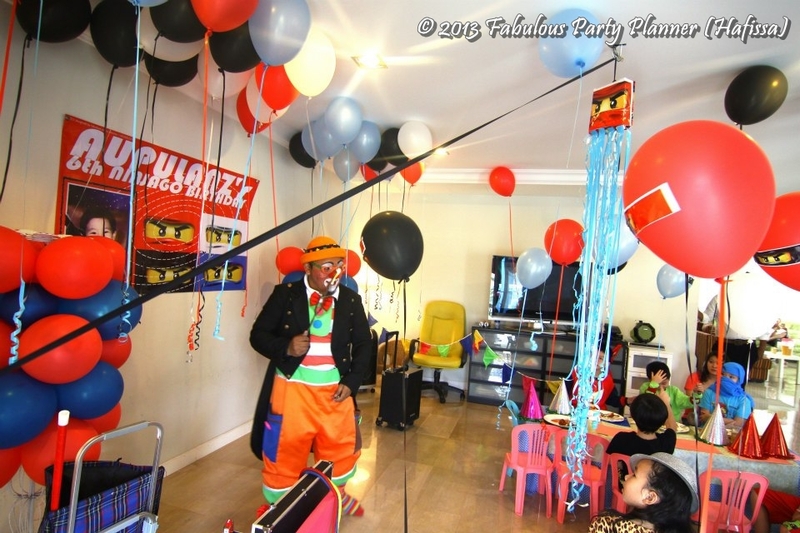 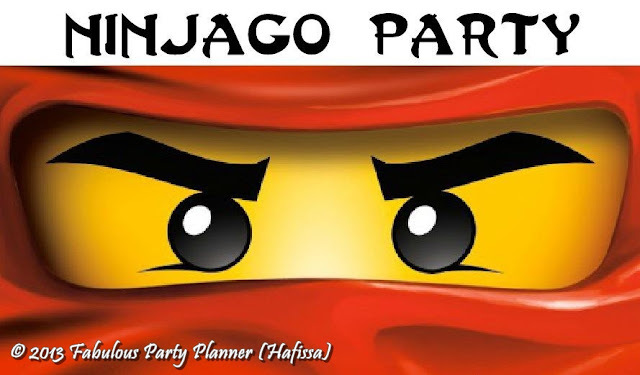 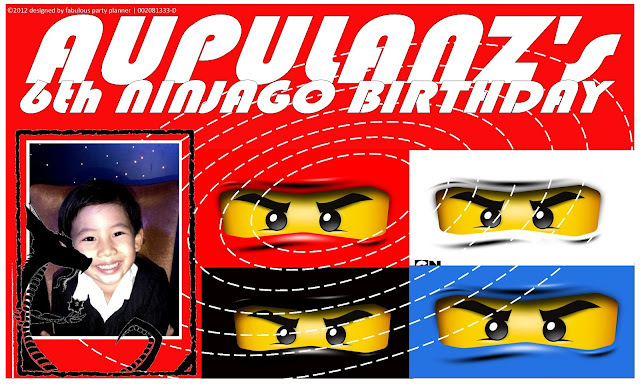 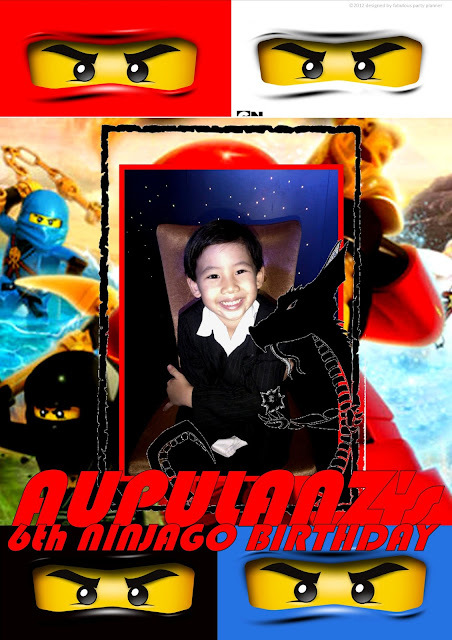 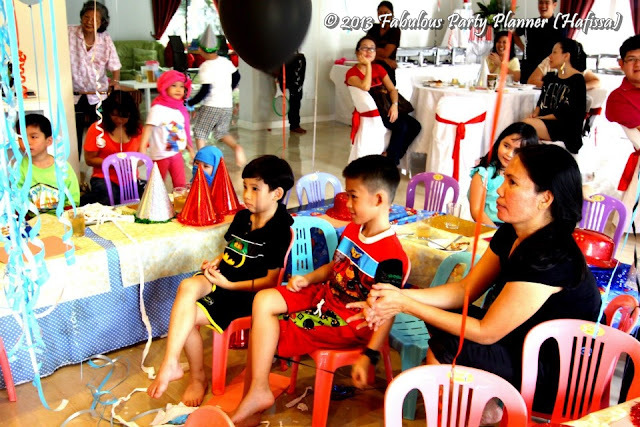 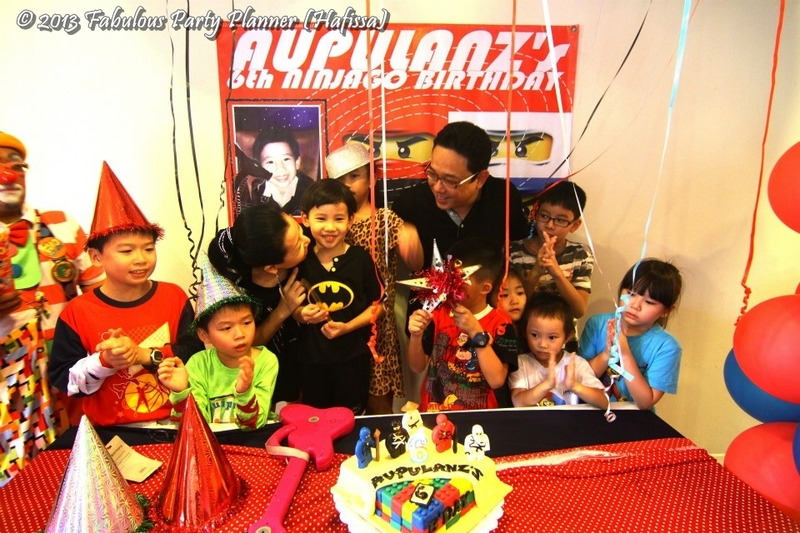 Aupulanz loves Ninjago and the theme was chosen for the party. 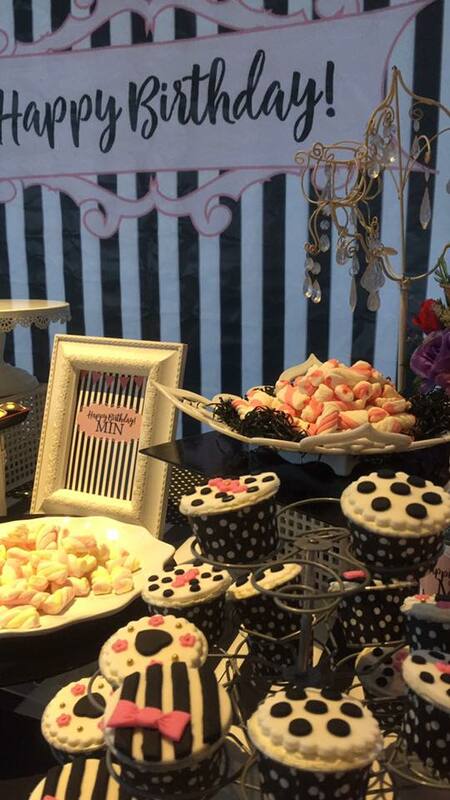 This time around, Audrey did not have the candy buffet included but we brought them a magical clown. This Finos, had even get the adults entertained with hilarious approach in his magic show. 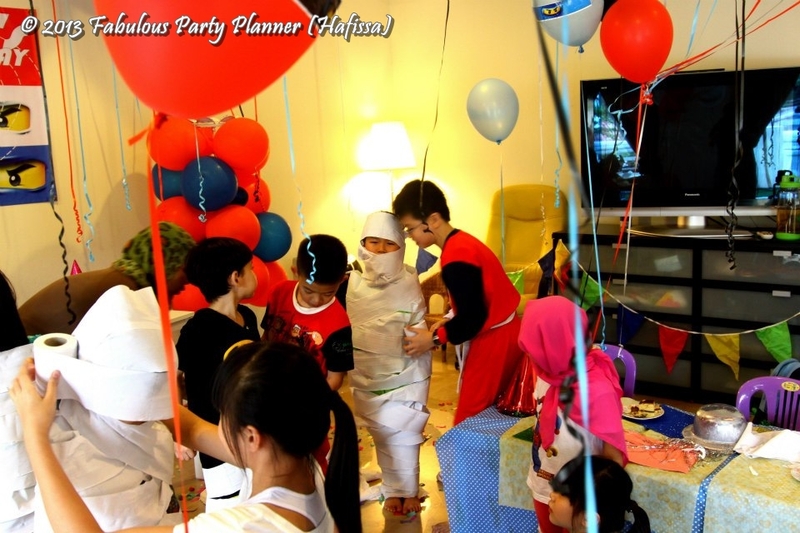 The kids played pinata and mummy wrap games. 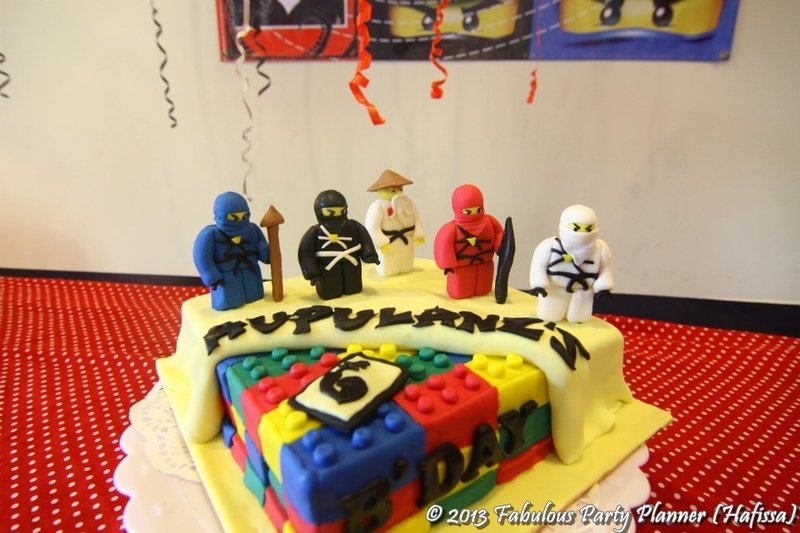 Cake was done by our lovely Niza. Thank you Audrey. 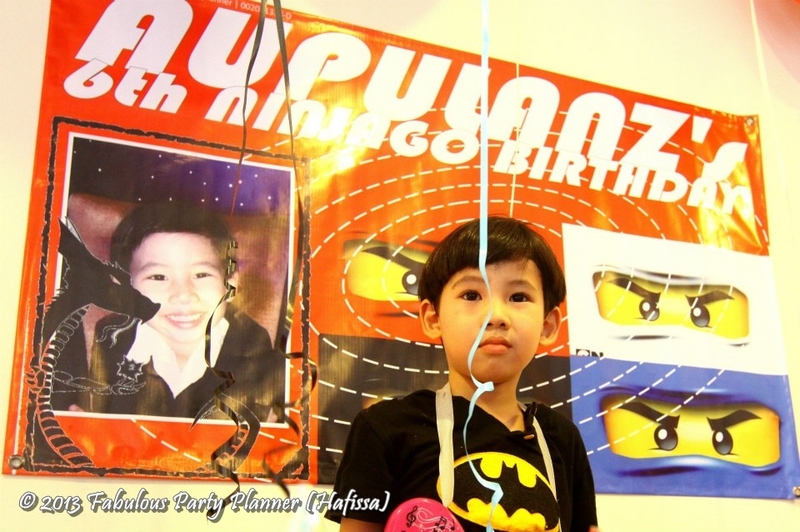 Call me again next time, yeah?